An all-rounder is a cricket player who excels at both batting and bowling. All-rounders play a vital role in the overall success of a team. Here is the list of Top 10 Greatest All Rounders in Cricket. Let us know about this list, are you satisfied with the ranking of Top 10 Greatest All Rounders or not? Or, do you want some changes? Next on Best All Rounders In Cricket History, West Indian, a threat for the opponents with both bat and ball. Known as an excellent fielder, he captained the West Indies for many years. He could bowl both fast-medium and spin, being effective with both. 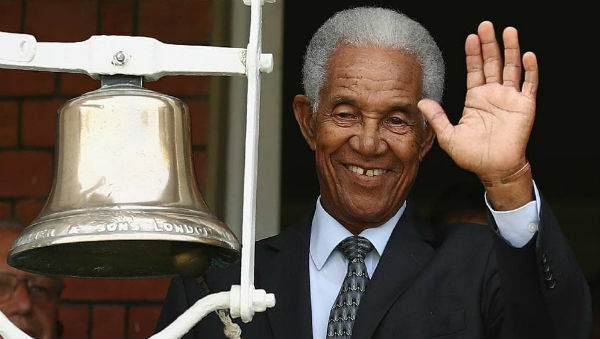 Sobers first achieved his place in the West Indian team as a spin bowler, often batting low in the order. He would go on to take 235 wickets at an average of 34.03. His average of 57.78 is the 10th-best on the all-time list and compares with any batsman in the history of the game, with the exception of the greatest cricketer Sir Donald Bradman. Sobers scored 26 centuries and 30 fifties. But his most famous feat remains the 365 not out he scored in 1958 against Pakistan team. Brian Lara surpassed that long-standing world record much later in 1994. It still ranks as the fifth highest score ever in test cricket. Next on Best All Rounders in cricket history, Jacques Kallis is unquestionably the greatest all-rounder of the today’s modern cricket rates highly on the all-time list too. As a batsman, there are few better than Kallis, averaging 57.02, including 41 centuries and 55 half-centuries. This average is the highest of any current player, higher than other present-day legends including Sachin Tendulkar, Ricky Ponting, Inzamam, and several other very sound batsmen. Whilst most all-rounders tend to score their runs in a rather unorthodox style, Kallis brings a very classical approach, playing a range of controlled shots. Indeed, there are a few harder wickets to take than that of Kallis. Besides, he is also a fast-medium bowler, who can bowls heavy balls some time. Kallis has taken 274 wickets at an average of 32.51. Whilst this may not rate quite as high as his batting record, it is still impressive nonetheless, and he would be good enough to make many international sides as a bowler. He is also rated as one of the greatest ever ODI all-rounder. The next on our list of top 10 greatest All Rounders of all time goes to former Pakistan captain Imran Khan. He is undoubtedly the greatest cricketer ever to play for Pakistan. He also deserves his place among the greatest right-handed batsmen and right arm fast bowlers. Imran also achieved his place as Pakistan’s most successful cricket captain. Imran won the World Cup in 1992 with Pakistan. He took 362 test wickets at an average of 22.81. He was a genuine pacer and opened the bowling for Pakistan for many years. Undoubtedly, he would rate as highly as any bowler from any era. He finished his test career with an average of 37.69, including 6 centuries and 18 half-centuries, becoming one of only eight players to achieve the ‘all-rounders triple’ of 300 wickets and 3000 runs. The great Australian all-rounder of the post-war era, Keith Miller was test cricket’s first true and greatest All Rounders. He often batted high in the order at number three. Known as a natural striker, he marked his place in the Cricket history as a powerful hitter as well. Miller could vary his pace, line, and length while bowling to confuse the batsmen. He made full use of slower deliveries and bowls his fastest deliveries from a short run-up. He was also an acrobatic catcher in the slips. Miller’s abilities as an all-rounder led to enormous success as both batsman and bowler. In his career which spanned just over ten years, Miller had scored 2958 runs and scalped 170 wickets. 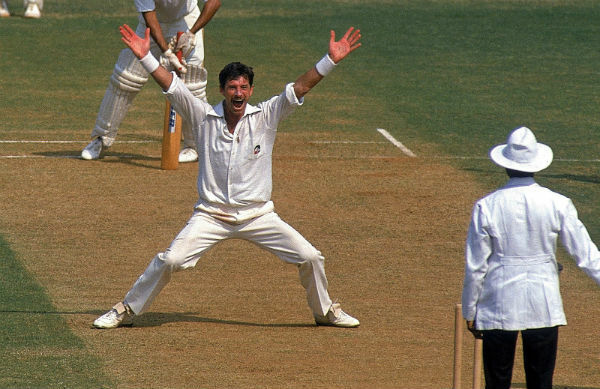 One of New Zealand’s all-time best All Rounders by quite a long stretch, Richard Hadlee was often the difference between New Zealand being a pushover or world beaters during his tenure at the top. Remembered as a great bowler, he made the world record of 431 wickets at an average of 22.29. He began his career as a fast opening bowler, but as he matured, shortened his run-up and concentrated more on moving the ball, something at which he is arguably the greatest of all time. At times, it seemed he had the ball on a piece of string in his heyday, best shown in his 9 for 52 effort was came against Australia. He was a handy lower-order batsman who would come in and throw his bat at the ball, ending up with a reasonable average of 27.16 which included two centuries and 15 half-centuries. He was undoubtedly a bowling all-rounder, a capable batsman who could provide crucial runs nearer to the end of an innings. 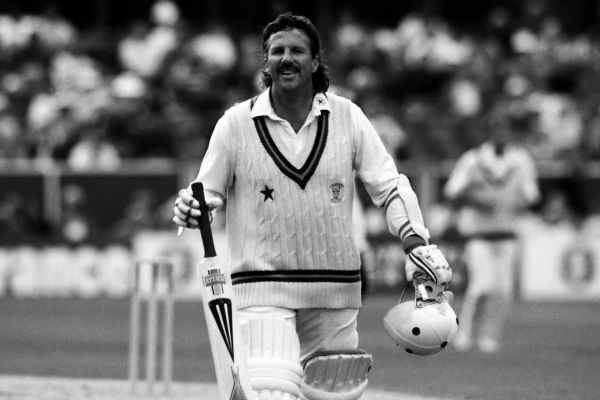 One of the greatest All-Rounders Englishman of the 1980s, Ian Botham was a key figure in the revival of cricket’s sleeping lion. Nicknamed “BEEFY”, he made his debut for England in 1976. He has been considered as the greatest ever All Rounder to have played for his country. He single-handedly achieved England’s success in the 1981 Ashes series with his all-round performances which included 399 runs and 34 scalps. The series was later called as Botham’s Ashes. In his career, he averaged 33.54 with the bat but showed on various occasions that he was capable of pushing on to build big innings, scoring 14 centuries and 22 half-centuries. He tended to be a hard-hitter, shown by his high strike rate of 60.71. As a bowler, he took 383 wickets at 28.40, still holds the record for the highest number of Test wickets taken by an England player. His 149* against Australia rated as one of the top 10 greatest test innings of all time. Widely acknowledged as one of the greatest All-Rounders and South African cricketers of all time, Pollock was a leading all-around performer of present day cricket world. 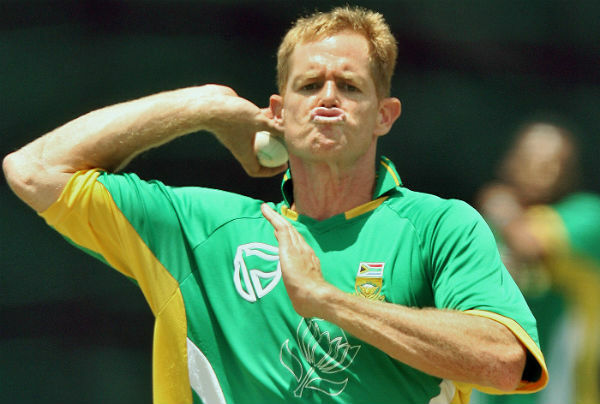 This former South African captain has some excelling record in both test and ODI cricket with both ball and bat. Pollock was a bowling all-rounder who was, for a time, one of the most consistent bowlers in the world while also being capable of chipping in with the bat. He took 421 test wickets at 23.11. But, his best bowling attribute came in that he was consistent and very economical, generally hard to score runs off. As a batsman, he was capable of giving a solid performance with the bat but often struggled to push on to a big score. And, this is shown by only having two centuries to his name. Although, he still averages 32.31. 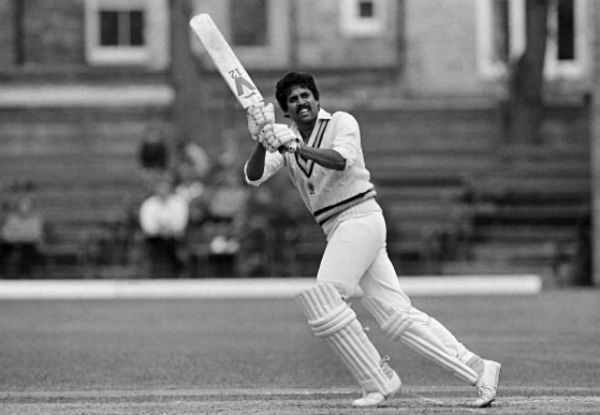 Nicknamed as “Haryana Hurricane”, India’s one of the greatest All-Rounders ever, and indeed India’s greatest fast bowler, Kapil Dev is the first of the great 1980s all-rounders to appear on this list. He became the first Indian captain who lifted World Cup trophy in 1983. He became just the second bowler in the history of the game to take 400 wickets, surpassing Richard Hadlee’s world record in his final test, to finish with 434 wickets at an average of 29.64. With the bat, he averaged 31.05 in a career which included eight centuries and 27 half-centuries. In ODI’s, his 175 not out against Zimbabwe at the 1983 World Cup, best remembered for Kapil. 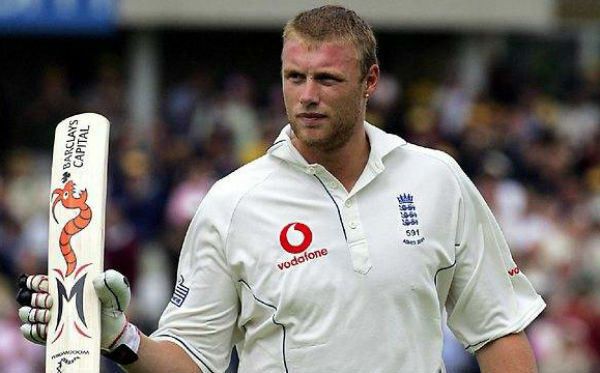 Andrew Flintoff is widely Known as ‘Freddie’.He is best known for his heroics in the 2005 Ashes series that saw England win the Ashes for the first time since the 1986-87 season. A fast bowler capable of bowling in excess of 140 Kilometers per hour, One of the greatest All-Rounders Flintoff took 226 wickets at an average of 32.78. He was also a fast scoring batsman capable of some decent performances, averaging 31.07, including five centuries and 26 half-centuries. Watching him bat is sheer entertainment for the crowd. One of the Greatest All-Rounders, Sanath Teran Jayasuriya, was the man who redefined the term of the opening in ODI’s. The tactic used was to attack the opening bowlers during the mandatory field restriction period, by lofting their deliveries over the infielders. He has torn apart almost every bowler in his era. Actually, he made his international debut for Sri Lanka as a Slow Left arm Orthodox bowler. He was not as prolific in Tests with close to 7000 runs and 100 wickets to his name. But in the shorter format, he was one of the very best of his generation as scoring over 13000 runs and picking over 300 wickets. Jayasuriya was a bowler in the initial part of his career but he gradually focused on his batting to become a batting all-rounder which his team needed him to be. He will always be remembered for his powerful cut shots and crunchy off-side shots which made him one of the most dangerous hard hitters. With the ball too, he could do a lot not just a bit and that has been seen so many times. Who is your favorite among the Top 10 Greatest All Rounders in Cricket? Do you think some other name should be counted among the Best Allrounders of All Time? Let us know in the comment box below.